My First Taste Of Gourmet Culinary Theatre! | Life, Sport and Diabetes - An everyday look at my life with type 1 diabetes. My First Taste Of Gourmet Culinary Theatre! Yesterday we got to experience one of the main things that our hotel, the El Dorado Royale in Mexico, is famous for- gourmet food. 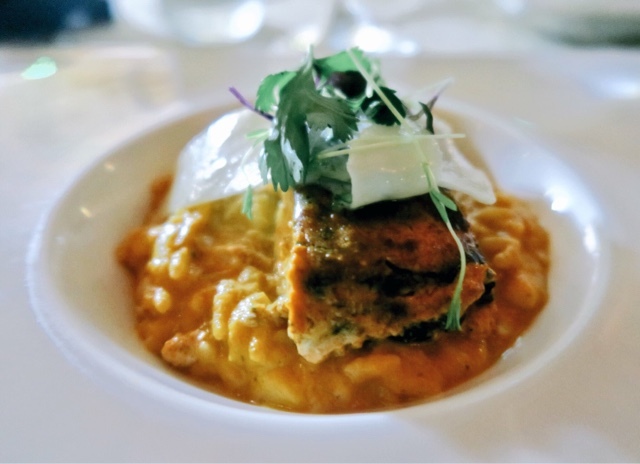 We enjoyed the ultimate gluten free karisma experience as we dined at the Fuentes culinary theatre restaurant. 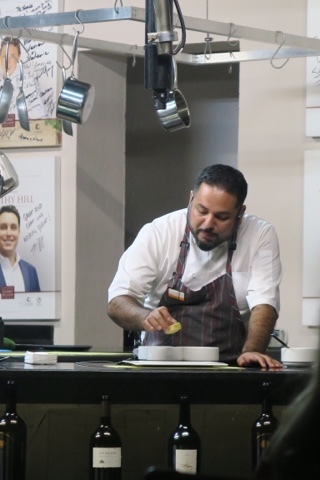 The concept of which is that the chef cooks the 5 course menu in front of an audience, so that we can see how the food is prepared. We were then served the dish to enjoy for ourselves! 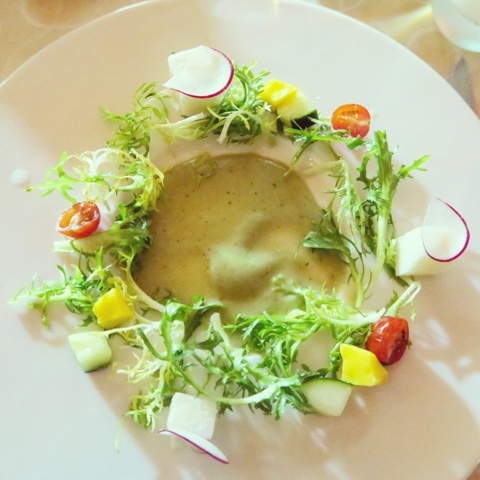 The first dish was a salad course, visually exquisite, the chef showed us how to make the cilantro dressing and introduced us to some new Mexican vegetables too, such as jicama. Which had the texture of a firm melon and the taste of a savoury apple. The dish was called Aguachile and originated from the Sinaloa region of Mexico. The next course was Chilpachole from Veracruz which was sensational. I've never seen so much chilli and pepper go into a dish, but that added flavour as opposed to fire, to the dish. But the secret to achieving this seemed to be using butter early on during the cooking to emulsify the fire, and heating the peppers early too, to achieve spice as opposed to heat. This was followed by the fish course that was accompanied by Mexican Sofrito rice that was so creamy and light that it more resembled a risotto in texture and flavour. 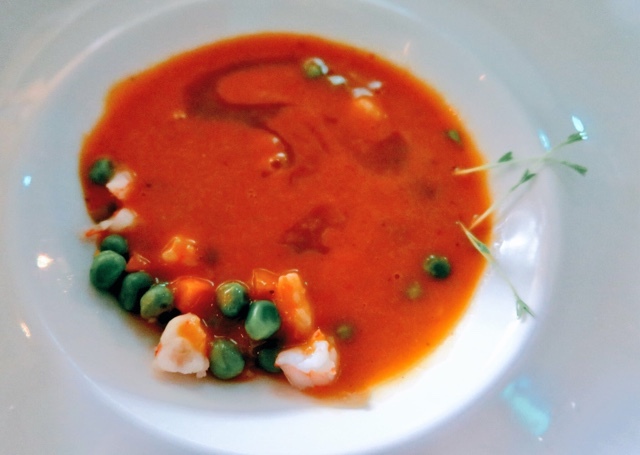 It was a dish that originated from the Guerrero region. My favourite course probably after the soup was the Manchamanteles from Oaxaca. It tasted incredible but contained the most ingredients that you would never expect to find in a savoury dish, including pure cacao! There was also plantain cleverly done 3 ways. Which was great to try in the Mexican style because it's also a popular staple in Jamaica, where my family originates. Finally the dish was completed with corn three ways for dessert. An incredibly popular vegetable in Mexico, as we learnt at Xcaret, with over 100 varieties being made in this country alone. 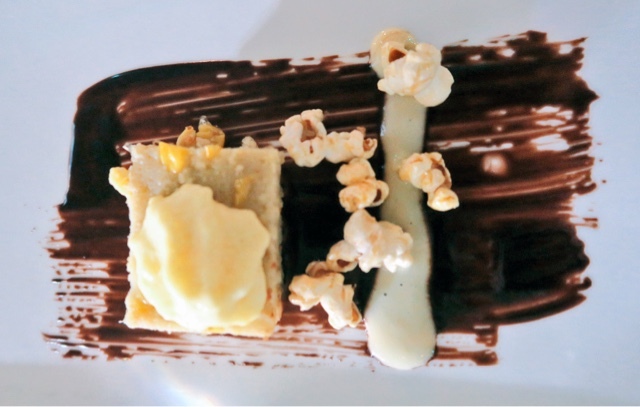 Unfortunately I didn't get to eat it as this was the only dish to contain gluten, but my partner loved the corn bread, caramelised popcorn and sweet corn foam! 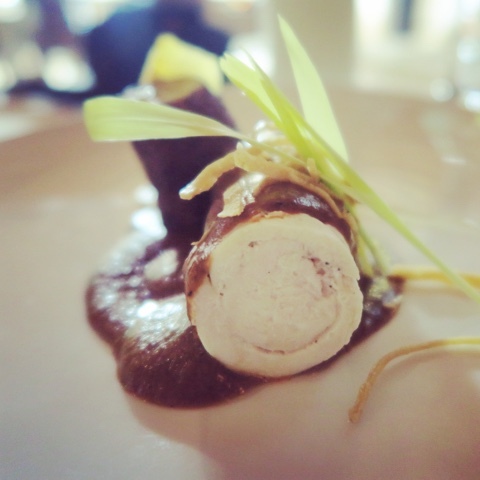 It was all an incredibly innovative way to dine and a brilliant way to experience the wonder of Mexican culture through food.